Thank You from Dr. Canfield! Dr. Canfield surrounded by Kevin & Melinda Lasit and SHS Sandwich Soul. As my final days as your superintendent of schools are at hand, I want to take a moment to extend my appreciation to the administrators, faculty and staff, parents and students, and all of the community members who supported the Sandwich schools throughout my five-year tenure. I believe a leader’s vision, including the 2020 Vision I presented in my first year, loses its focus if one is not able to garner support to make it happen, and that requires relational trust. It was not possible for me to anticipate the amount of change, or the complexity of that change, that I would be required to lead. I believe what I did best was to gather an excellent team of leaders to make it happen, and to work together to obtain the operating budget needed to accomplish the collective vision. The leaders came from all groups, and I especially thank the many volunteer leaders of our PTA/PTSA, PAC, Advisory Boards, Boosters, and School Committees that I had the pleasure of working with over my five years. Throughout my tenure I maintained an open-door policy, though with the need to move central office three times in three years, may have made it harder to find me. All kidding aside, the open door works both ways as I managed to get out of the office and participate in many school and community events. I also met many Sandwich residents at Sandwich restaurants, shops, and even the post office, and their kind words of support and encouragement meant a great deal to me as the district worked its way through all of the elements of change. My meetings with retiree groups and Sandwich realtors also helped to gain support and understanding of the need for change and anticipated results. In the end, all that was accomplished required an operating budget for the schools, and throughout my tenure the community at their Annual Town Meeting, supported the budget for the schools and I am deeply grateful for that support. 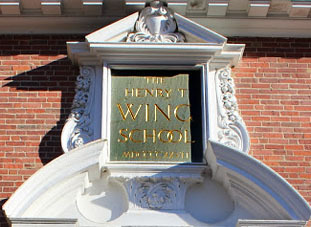 The capital needs of the town, and the rapidly declining condition of the Wing School, made it evident that spending multiple millions of dollars to repair or replace the Wing School, was not practical. I made the comment that, “the Wing is not about the brick and mortar. It is about the magic of learning created for students every day.” In many ways, the building is a monument to a very special time in the history of Sandwich, especially when there was a natural flow-through because it served as the town’s only school from kindergarten through grade 12. In the meantime, Forestdale and Oak Ridge had formed school communities that served their students well. Today, Sandwich now celebrates Sandwich U-Knighted, as our schools have a natural flow-through as students will travel together from grade to grade and school to school. We are one community of learners, and our faculty and staff, and our parents are discovering and creating opportunities to better serve the children and youth of our schools. The town’s three operating campuses, are owned by the Town of Sandwich, and the buildings and acreage are prime town assets. In reconfiguring the district, the capital investment in the A-wing to accommodate all grade 7/8 students as the STEM Academy, and the physical changes to Forestdale and Oak Ridge as PreK-2 and 3-6 schools cost less than $1 million, which is quite phenomenal. There are other capital repair needs on the horizon, and it is my sincere hope that the community will support the critical infrastructure repairs for our schools. Throughout the past five-years, we continued our progress with the 2020 Vision, and approached the budget with the theme of Funding What We Value. Surveying of parents, including those who chose other school choices for their children, was done in my first year. What was most clear, was that parents wanted to be sure that the program for their child, especially in the culminating 4-years of high school, would remain intact through the annual budget process. There are some school options outside of Sandwich that are funded by taxpayers, and taxpayers have virtually no say in those budgets because of the way the state has structured the funding for those schools. 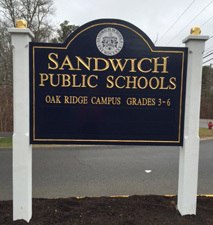 For Sandwich, the reorganization or resizing of the district, resulted in many efficiencies and allowed the district to create vital opportunities for its students. The School Choice program is different than choosing a private school, charter, or vocational/technical school. Sandwich now has more School Choice students coming into available seats in classrooms that are already funded, than it has going out. Our municipal officials have rightly required the district to apply School Choice funds to offset staffing costs to save on the local contribution, and this benefits everyone. One thing the district and every parent knows and that was confirmed in our surveying, is that parents are going to choose what they believe is best for their child, and they want excellent schools. Funding what we value brought many changes as we contemporized our program offerings. Full-day kindergarten at no cost to families helps our children get a better start with literacy, numeracy, and learning how school works in preparation for first-grade. 1-to- 1 technology provides our students, born in the digital age, with knowledge and skills they will need to work with digital technology throughout their lifetime. 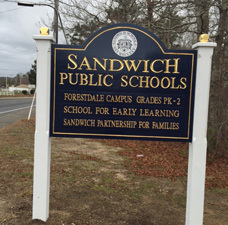 Forestdale School functions as a campus for early learning, with multiple goals, but a primary goal of having all children reading at grade level by the time they exit grade 2, and the school supports effort with developmentally-appropriate intervention services. Oak Ridge School provides students with a natural lead into the STEM Academy, and introduces students to STEM thinking through the 7-Cs class. For the first time, Oak Ridge also offers health instruction, and graphic arts to students. The STEM Academy, is uniquely designed to provide engineering for every student, using Project Lead the Way, the nation’s preeminent engineering program designed by engineers for schools. This includes a very successful robotics programs, including submersibles in the school pool. Students have more art time than ever, and it includes graphic design that compliments the engineering program. Two volunteer Boards comprised of professionals from STEM related fields, as well as Arts and Humanities related fields, assist the administration and faculty by providing meaningful and relevant opportunities for students. As higher education has moved to Project-based Teaching and Learning, so has the district. At the conclusion of this school year, 100 percent of teachers in grades 7-12 have been trained as well as many teachers K-6. Creating a 6-year, high quality program for grades 7-12, makes it more likely that students will remain in Sandwich for their schooling. Town officials continue to express the desire to have this happen, and by supporting high quality programming, it is more likely to happen, especially as our students will not travel together from grade to grade. Robust electives offered by high school teachers within the Academy, is building a bridge from grade 8 to 9, and allows for the team planning by STEM teachers that is an essential component to the program. Some grade 8 students, are now able to access some high school classes as appropriate. Health related concerns, including those around substance abuse and other self-destructive behaviors, are prevalent in the news. Sandwich continues to take a proactive approach through special programs, and now offers the opportunity to teach health starting as early as grade 3. As our students prepare to compete globally, we have added a highly successful Mandarin Chinese program to our world language offerings that includes French, Latin and Spanish. The district continues to support faculty and staff through quality professional development to keep current with research-based instructional and assessment practices. This includes the ongoing work of curriculum mapping and standards-based report cards. The district also continues to develop and refine its use of PowerSchool and its portal to help keep parents and students better informed about grading and academic progress. 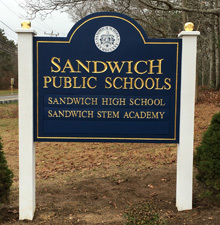 Sandwich High School is proudly a Level 1 high school, has been named to the College Board Advanced Placement Honor Roll, and is fully accredited by the New England Association of Schools and Colleges (NEASC), and is federally accredited to receive international students. The mentoring program and peer coaching programs at Sandwich High School form a very supportive culture, conducive to learning for all students, and it has been designated by the NEASC as a best practice. We have increased community pride through the success of our sports, visual and performing arts, leadership, and community service programs. The Sandwich U-Knighted elementary school PTA, and combined Academy and SHS PTSA, are committed to Blue Knight Pride beginning in kindergarten, and our signage at each campus, and our newly designed logos featured on our newly designed website reflect that unity. The athletic programs provide developmental athletic opportunities starting in grade 7, and also provide opportunities for our STEM Academy Squires to compete with other middle school interscholastic teams. Additionally, STEM Academy students under MIAA rules, are eligible to compete as members of our high school teams, and are doing this successfully. Our high school teams continue to compete very successfully within the Atlantic Coast League. The performing arts program, begins with the Oak Ridge Junior KTC and leads into the Knights Theatre Company for grades 7-12. Sandwich Soul, the high school show choir, has earned recognition throughout the community and competes very successfully in the state and beyond. The combined 7-12 instrumental program is building on the unified Oak Ridge School program, with very promising results. Annual art shows at school and on the Cape, show the high quality of art work in varied media that our students are producing. This next year the department, working with the Director of Technology will have a Maker Lab, modeled after those at our nation’s technical universities. The district continues to work in partnership with Sandwich Community Television, and students work with faculty and SCTV staff to learn about production and broadcasting for both television and radio. 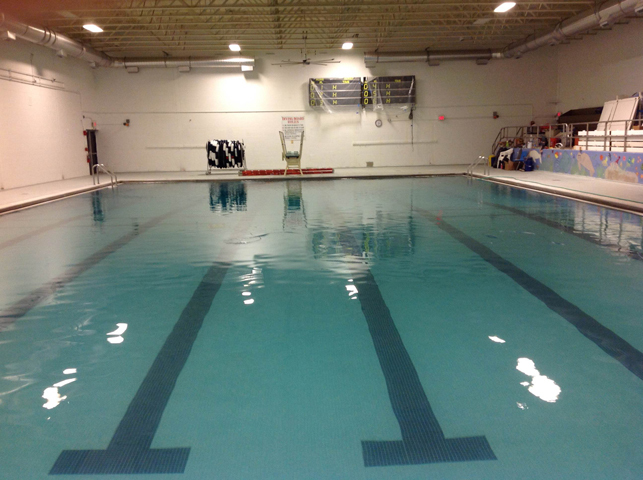 The pool located at Sandwich High School, is being used throughout the day for physical education classes as all students take swimming. This year high school students could elect a course leading to Senior Lifesaving certification and this coming year will have the opportunity to earn Water Safety Instructor certification through their coursework. The pool is also being used by our special needs students, brought to school with their teachers and volunteers on our special education vans. The school committee, working in partnership with AquaSafe is developing programs to increase community access during designated non-school hours. The DeConto stadium is truly a jewel within the community, a gift of the heart from the DeConto family that continues to lead and gather community support for the stadium that is used and enjoyed by the community well beyond the school day. I believe that all engaged in the leadership of our schools created a legacy during our special moment in time. For me, it is my belief that legacy is not so much what is recorded in electronic or print media, but what is created in the hearts and minds of those we are honored to serve. As I move on to whatever my life’s venture will be, I trust the future will be in good hands. 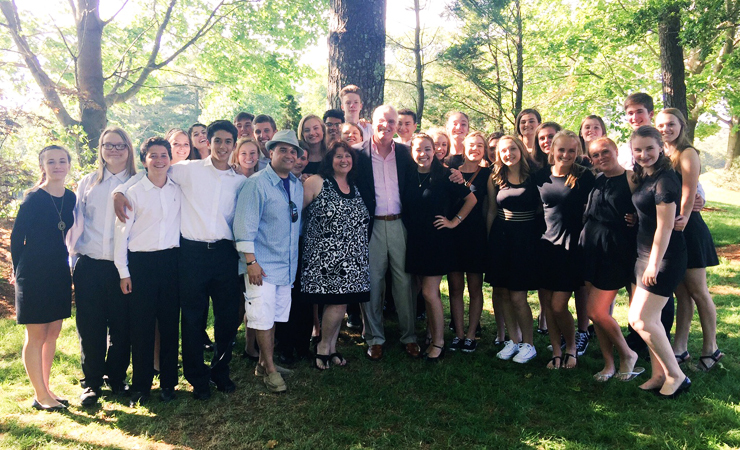 I take with me wonderful memories of time spent with our youngest children to those spent with our senior class. I have been privileged to be part of their lives, and a very special moment for me, my wife Lorna and our family, was the amazing tribute and farewell held at the Ridge Club. The turnout of so many people that helped and supported all that was accomplished, as well as the cards and comments from those who could not be there, and especially the performance of Sandwich Soul are lasting memories. 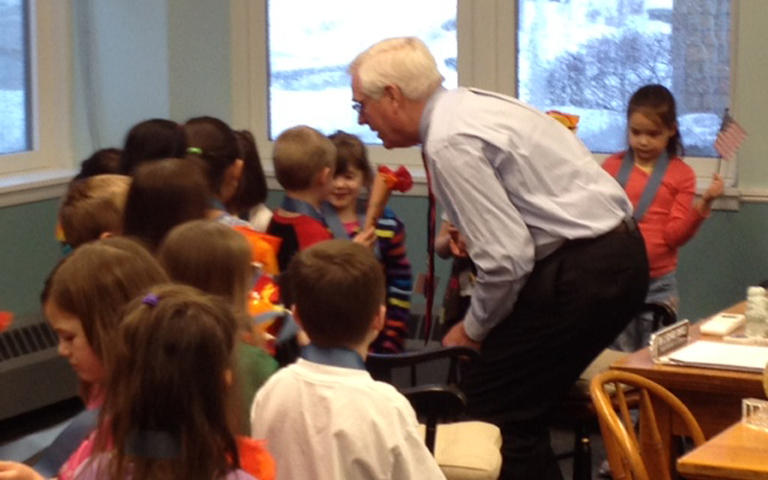 One of Dr. Canfield’s favorite times – with Kindergarten students!